Are you sick and tired of looking for a perfect teacher suited for your level. Well, the long wait is over. 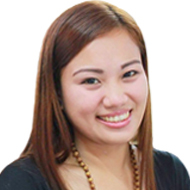 Being an English teacher for 7 years with a degree of Bachelor of Elementary Education major in English and a LET passer ( Licensure Examination for Teachers) will surely benefited you in all various forms of learning English. I have been handling different types of learners from different parts of the world. I can handle beginner to advance students. Basically I am not a native English speaker but gradually I was able to change my thick Filipino accent. Now everybody thinks that I am a native English speaker. I am very much eager to transfer to you all I have. What I have is yours. I assure you that you will enjoy your class with me. I will provide fun, easy and exciting way of learning English.